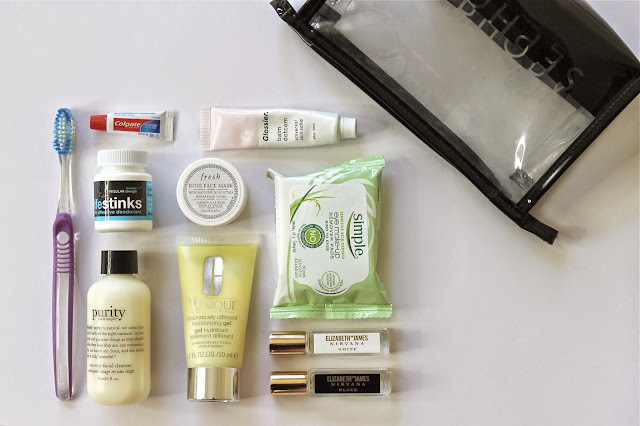 The Carryall Bag - I like to think that bigger is better in this case, as I'm constantly trying to stuff last minute items in my carry-on bag either before take off or on my flight home. Suitcase overspill can be a real issue after a bit of shopping in your destination, right ladies? Make sure yours is big enough to fit your essentials with a bit of extra space for anything you might accumulate or need to stuff in there later. Electronics - For me this is pretty simple, as I try to travel as light as possible when it comes to bulky electronics and easily-tangled cords. I try to take only the following: camera equipment, headphones, cell phone and charger, on-the-go charger, Ipad and charger, and laptop only when needed as it adds a lot of weight. I actually tend to leave it behind and use my phone and Ipad in its place. Reading Material - You're most likely going to get quite bored cramped in that tiny space you call your seat. It's a good idea to bring a few magazines along and a fresh book. You know, now's the time to dive into that one you've been saying you wanted to read forever. Anything to pass the time is a winner in my book. Get it? Passport & Documents - This includes your usual wallet - or if your so inclined, maybe a streamlined edition - as well as your passport holder, and a folder that includes all of your printed travel itineraries. I find that printing out the hotel confirmation and other reservations makes things so much easier, as you won't be scrambling to get wi-fi to look up the details later on. Just relax, remember, you're on holiday. Toiletries - Staying clean is most comfortable, afterall. If you tend to your skin on the plane, it usually makes for much better conditions after landing. I mean, you're going to be taking more photos than usual so who has time for dull skin, or worse, breakouts? In a pouch I toss a small 3 oz. sized Philosophy Purity Made Simple, a 1.7 oz. tube of Clinique Dramatically Different Moisturizing Gel, Simple Eye Make-Up Remover Pads, a tube of Glossier Balm Dotcom for chapped lips and dry cuticles, a rollerball duo of delicious Elizabeth and James Nirvana Black and White fragrances, a toothbrush, mini toothpaste, mini deodorant, and a sample sized Fresh Rose Face Mask. It may sound crazy, but I like to wash my face halfway through the flight and then moisturize, to freshen up and take care of any bacteria and dryness that may have built up over the first few hours. Also, if you're luggage gets held back or lost (god forbid) you have pretty much everything you'll need and the rest should be covered by the hotel toiletries. P.S. I also always pack a mini tube of Advil and Dramamine to combat any unexpected headaches and motion sickness. Comfort Necessities - That is, if you are like me and can't sleep in jeans. It just won't happen. I try my best to wear something both presentable and comfortable on the flight like a black maxi dress - not typically my outfit of choice - but it's as comfortable as pajamas without looking it. If you do opt for jeans, I suggest you bring along a pair of stretchy leggings. They don't take up much room, will keep you warm enough, and can be worn as pajamas on your trip as well. I also like to bring a pashmina, which doubles as an eye mask or blanket, a sweater, and a pair of cozy socks to prevent your toes from freezing off. You may not look the epitome of fashion but you'll look better getting off the plane well-rested. Healthy Snacks - You'll be happy to munch on granola bars, protein bars, dried fruits, and nuts. I'll admit to occasionally sneaking a bag of Haribo Gummy bears in there too - you know, it's the 70/20 ratio of healthy/not so much - lol. But seriously, anything is better than that toxic plane food, in my opinion. What do you think? 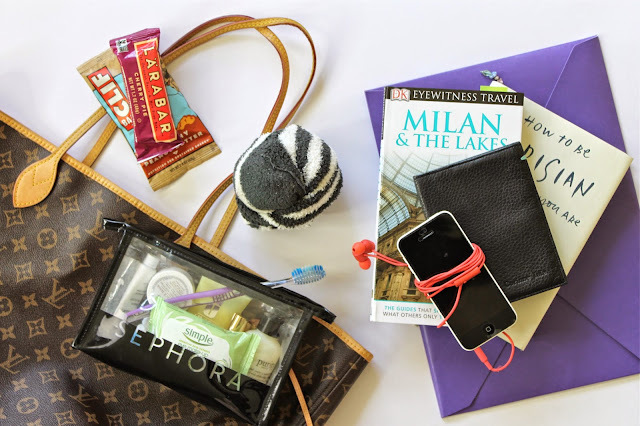 I hope my little guide helps make your lives easier when it comes to travel preparation. 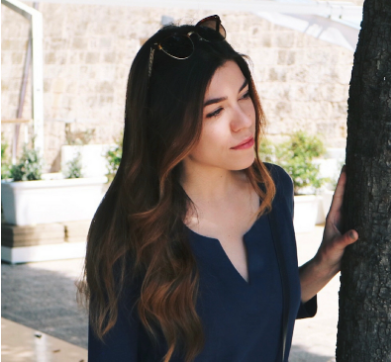 If you're interested in seeing what makeup I packed for a previous trip to Spain, check here. Otherwise, be sure to stop by here next Wednesday for a peek inside my 'Italian' makeup bag.